I’m not a big party person. Sure I throw them, and attend them aplenty, but I don’t think I’ve had a party, for myself, since that awkward sleepover in junior high. I prefer small things… dinner parties or brunch with Turkish coffee and pastries that proof. So when my “dream maker” (the fabulous Karen Mulholland Angelus) said we should go big, I needed a bit of convincing. Thank the mother of all rhinestones Karen is exceptionally good at convincing because, as I learned on the September 27th Los Angeles Launch of So L.A., sometimes all that glitters really is gold! For the Los Angeles launch party of So L.A. we took over the Gibson Guitar Showroom and mixed words with rock. Which means I (deep gasp of joy) signed books on Liberace‘s bedazzled piano and, later in the evening, with many thanks to LA Roc Events, The Gibson Guitar Showroom and Chivas Regal, had the insanely rare pleasure of introducing Franky Perez & the Truth with special guests Steve Stevens & Billy Morrison. The poet and insanely talented artist Santa Perversa (and her mother the chef) with Bridget Hoida. Peter Leinheiser, Bridget Hoida & Narada Michael Walden (Narada knows how to rock a scarf). Vahe -the Godfather- Jordan with his striking wife, Amy who like me, believes in sequins. 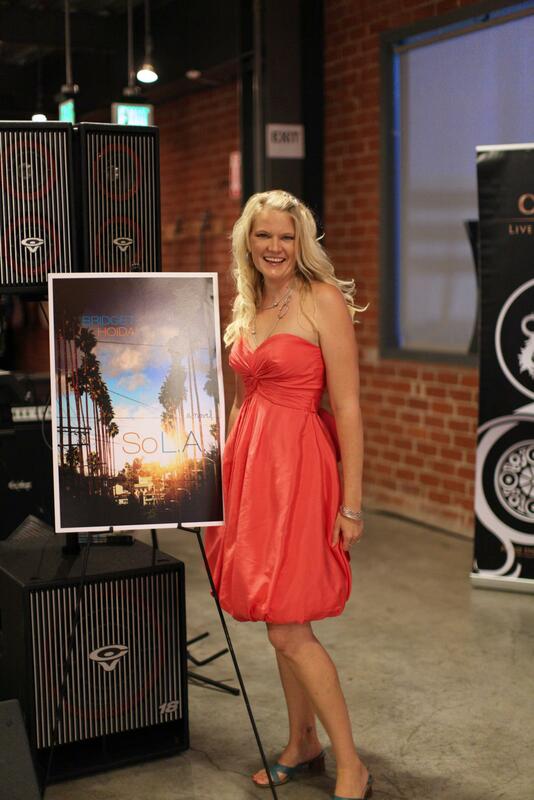 Bridget Hoida with Karen Mulholland Angelus at the So L.A. Los Angeles Book Launch at the Gibson Guitar Showroom. Franky Perez & the Truth rock the So L.A. Los Angeles Book Launch at the Gibson Guitar Showroom. Post party. Post reading. Post rock. Bridget Hoida & Franky Perez eat homemade cookies on the Gibson Guitar Loading Dock. Rhinestones galore. 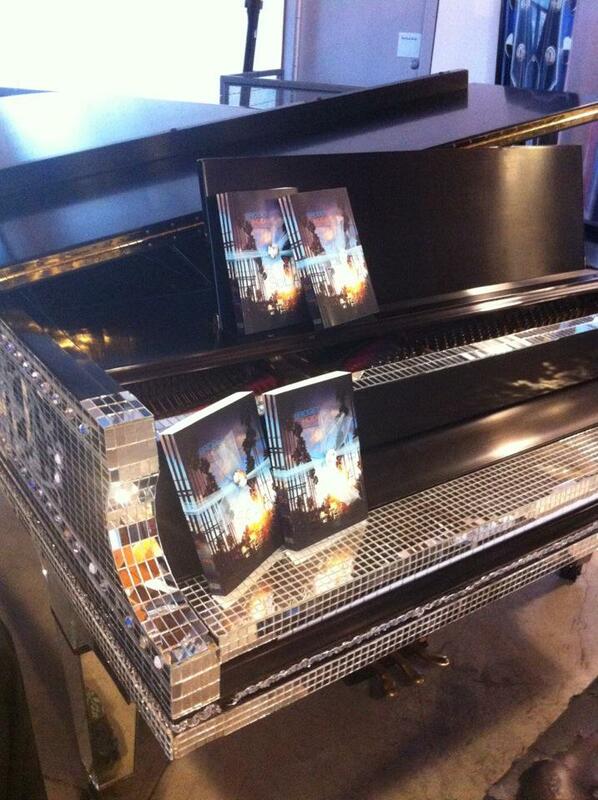 Liberace’s piano. A Magdalena moment.